The U.S. Department of Agriculture announced on October 8th, 2015 awards totaling $17 million through the Beginning Farmer and Rancher Development Program (BFRDP). BFRDP is the only USDA program exclusively dedicated to training new farmers and ranchers, particularly in sustainable production practices. This year, 34 organizations received BFRDP grants for projects supporting beginning farmers in 25 states. In total, about $10.7 million in grant funding will support 22 projects spearheaded by community-based and non-profit organizations, while $6 million will go towards 12 beginning farmer programs housed within public universities or cooperative extension. Here are the winners! Categories: Grants | Tags: Dakota Rural Action, Farmer Veteran Coalition, Government Grants, Hmong National Development, land for good, MOFGA, MOSES, usda, World Farmers | Permalink. Categories: Events | Tags: MOSES, Wisconsin | Permalink. Two full days of workshops, networking, hands-on learning, organic food and fun! find more information, and a full list of the amazing workshops that will be offered, HERE. Categories: Classes + Workshops, Conferences | Tags: midwest, MOSES, Wisconsin | Permalink. moses conference, coming right up. 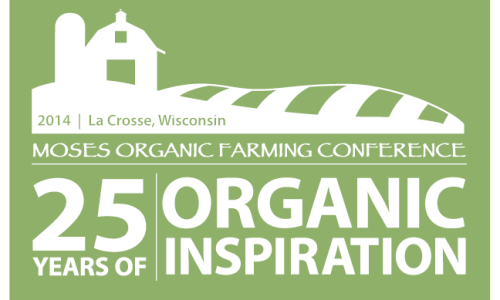 The MOSES Conference, started 25 years ago with 90 people who wanted to learn more about farming organically, has grown to become the country’s foremost educational and networking event for the organic community. The people involved in organic and sustainable farming tend to be passionate about food and farming, which makes for a truly inspiring event. Please join us in celebrating the 25th anniversary of this remarkable gathering! Categories: Conferences | Tags: midwest, MOSES, Wisconsin | Permalink. You’ll want to check out this event. 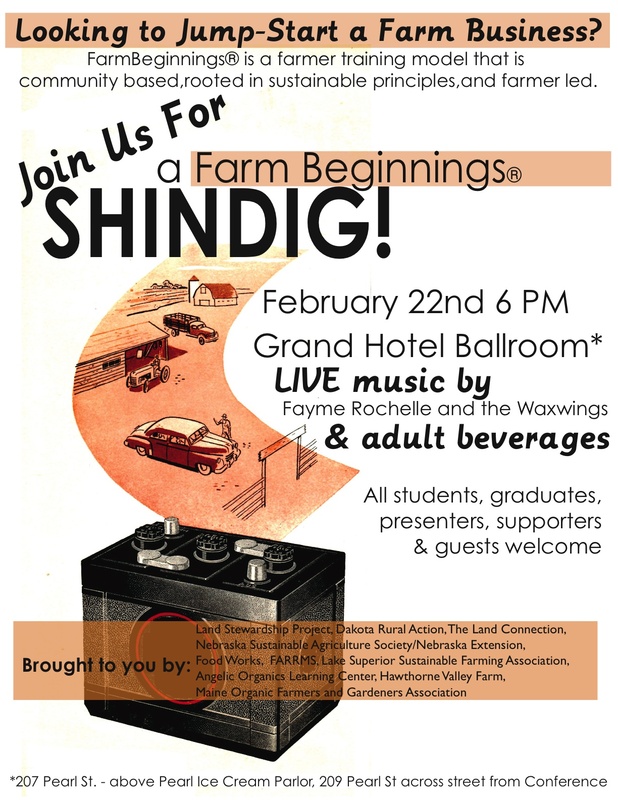 The Farm Beginnings Collaborative will host an evening Shindig on Friday, February 22nd. Farm Beginnings® is a Land Stewardship Project (LSP) initiative that provides participants a wide range of opportunities to learn firsthand about low-cost, sustainable methods of farming. Launched in 1997, Farm Beginnings is a farmer-led, community based training and support program aimed at getting more farmers on the land farming sustainably. Anyone who is interested in how Farm Beginnings can help them start their farm business is welcome to attend and network with Farm Beginnings graduates, instructors and service providers. Taking place during the MOSES Conference. Categories: Events, Young Farmer Parties | Tags: MOSES, Wisconsin | Permalink.